ACROSS: Is the Designer Outlet Croatia the first IKEA Centres outlet center? BRANKO MIHAJLOV: No, it’s the second. We completed a project in the Algarve region in Portugal, namely the Designer Outlet Algarve, which opened in November 2017 (see ACROSS article WHERE THE MANY PEOPLE MEET IN SOUTHERN PORTUGAL). In principle, we handled this project using the same set-up as the one we used for our new project in Croatia, in other words, with Mutschler Outlet Holding AG as a co-investor and ROS Retail Outlet Shopping as the operator. ACROSS: What strategic objective does IKEA Centres have in terms of being active in the outlet centers segment? MIHAJLOV: Allow me to draw your attention to our previously-mentioned location in the Algarve. There, IKEA Retail built a classic IKEA store next to an IKEA Centres shopping center and an outlet center. This particular constellation arose because we were looking for a differentiator that would set us apart from the competition. As a result, a wonderful, but complex project, which included an extensive offer for our customers, was completed. This marked our entry into a new segment. We are considering additional projects of this kind. This is where traditional projects struggle to find a foothold because the market is fully saturated. In such cases, other suitable projects will have to be considered. Outlet Centers represent an alternative in this regard. So far, our experience with our two outlet projects has been very positive. To sum it up: In addition to our classic malls, IKEA Centres will look into the possibilities to add an outlet to our meeting places. ACROSS: Let’s go back to the Designer Outlet Croatia: What were the first business days like? MIHAJLOV: Surprisingly good. We had expected approximately 30,000 visitors during the opening weekend. There were 60,000 – twice as many. Sales were 60% above expectation. Tenant reactions were correspondingly phenomenal. ACROSS: What do you attribute this to? MIHAJLOV: There is only one other outlet in Croatia – the Roses Designer Outlet in Vrankovec, which has been in the market for 10 years. However, many Croatians do not regard this as a classic outlet, which is why they travel to Parndorf in Austria or Palmanova in Italy. With the Designer Outlet Croatia, an outlet of international caliber has been created. Obviously, that is exactly what Croatians have been waiting for. During the opening, they realized that their expectations had been fulfilled. That was why they went shopping. The architecture, which radiates a holiday feeling, has also been well received, as we can see from the social media outlets. ACROSS: Speaking of a holiday feeling: Outlets are increasingly aimed at tourism. Is that the case with Designer Outlet Croatia? MIHAJLOV: Tourists constitute an important target group for us. Our operator – ROS – is very active and experienced in this respect. After all, we can offer them a lot with our product. The number of tourists in Zagreb has dramatically increased over the last few years. We stand to benefit from this. Irrespective of this, we generally have a large catchment area: 5.5 million people within two hours of travel time. Many come from Bosnia, which is an important market for us. 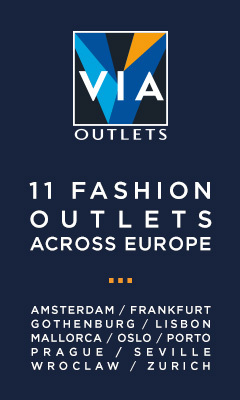 To date, there is not a single outlet center in the country. ACROSS: What can you tell us about the planned Phase 2? MIHAJLOV: Phase 2 is planned to take place in five years at the latest. It includes an additional 10,000 sq m. We are currently working on the sustainability of the project as it is currently designed. Phase 2 may also start earlier. ACROSS: What challenges were presented during the development and construction of Phase 1? The opening had to be postponed. MIHAJLOV: Yes, the opening was postponed by two weeks because we had not yet met the quality criteria that we apply to ourselves. This concerned optical aspects that customers might not have detected. But, we noticed them. And, we wanted to deliver a perfect product to the visitors. That was why we pulled the handbrake until everything was perfect, in terms of safety as well – an issue of extreme importance to IKEA Centres. One of the challenges in the development of the project was, undoubtedly, the architecture, which was created by ATP architekten ingenieure. It was also the first such project for Strabag. It was very time-consuming, for example, with regard to the facades. ACROSS: What is the average length of time that customers spend at Designer Outlet Croatia? MIHAJLOV: We haven’t measured that yet. However, it seemed like approximately three hours, which is a long time. This is also the average length of stay in an IKEA store. The combination of a trip to the IKEA store and the Outlet Center is something a customer would plan an entire day for. Consequently, there are plenty of gastronomic offers. ACROSS: You were able to attract virtually all the classic outlet tenants from the fashion sector. How did you convince these brands to cooperate with Designer Outlet Croatia? MIHAJLOV: When we started the project, we conducted market research. Part of that included a market demand report in which we communicated with potential tenants in advance. The report was very positive. Several brands announced their intention to partner with a high-quality outlet. At first, however, they were skeptical as to whether the project would actually be as high-quality as advertised. In the end, our concept as well as ROS’s center management proved very convincing. At the opening, the tenancy rate was at 85%. We would like to reach 100% by the end of the year. ACROSS: Are there any first-time brands that are active in the outlet sector in Croatia? MIHAJLOV: Yes, for example, Under Armour, Armani Exchange, and Guess. ACROSS: Where, in other words, which countries, is IKEA Centres planning additional outlet center projects? MIHAJLOV: We do not limit ourselves to countries. Our mission as IKEA Centres is to generate additional frequency and revenue for IKEA stores and to offer more to the classic IKEA customer. Of course, our business model has to work as such. In principle, we are following IKEA Retail’s expansion. When opportunities arise in this respect, we are prepared to offer the right product: an outlet center, a retail park, or a classic mall. It all depends on the location. For example, we are planning a retail park next to an IKEA store in Belgrade. That is my next project. In Serbia, the market is not ready for an outlet center yet. ACROSS: Does that mean that you see IKEA customers as classic outlet customers? MIHAJLOV: The Designer Outlet Croatia can be regarded as a test object worldwide. We can perfectly measure the synergies and effects on the IKEA store, which opened in August 2014. We will investigate how IKEA customers visit the outlet center and vice versa. Based on our findings, we will decide how to proceed with project development. If the result is that the outlet center acts as a driver, we will focus more on this model. The beginning of construction on the £90 million expansion of McArthurGlen Designer Outlet Ashford was officially celebrated at the end of March 2018.